This column is from The MagPi issue 50. You can download a PDF of the full issue for free, or subscribe to receive the print edition in your mailbox or the digital edition on your tablet. All proceeds from the print and digital editions help the Raspberry Pi Foundation achieve its charitable goals. Day job: Michael is a web developer, while Tim works as a performance architect. Michael Horne and Tim Richardson have become regular faces within the Raspberry Pi community, and with good reason. 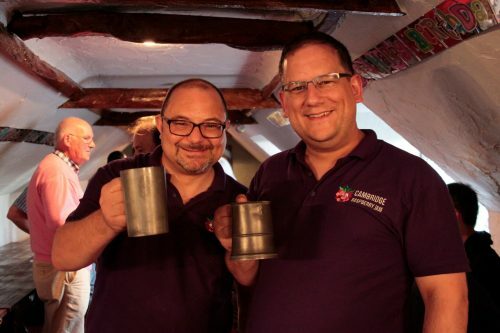 For those local to the Cambridge area, the pair are best known for running the city’s Raspberry Jam – The CamJam – as well as events such as the Birthday Bash and the successful Pi Wars, the next instalment of which is due in April 2017. They’re also responsible for many photos and videos you’ll have seen on our blog over the years. Those further afield may have found themself in possession of a CamJam EduKit from The Pi Hut. Available in several varieties, and accompanied by educational resources on the CamJam website, EduKits provide the components necessary for newcomers to the Raspberry Pi to understand physical computing. From sensors to traffic light LEDs, the affordable kits offer everyone the chance to get to grips with digital making, regardless of their skills or experience. 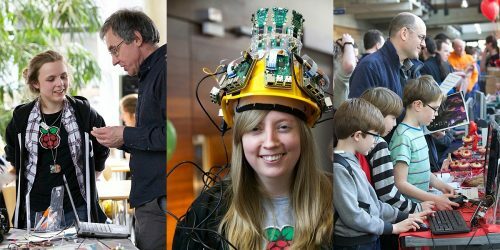 From a small room at the Centre of Mathematical Sciences to multiple rooms and hundreds of attendees, the Cambridge Raspberry Jam continues to grow within the birthplace of the Pi. The EduKit range – providing everyone with the necessary components to learn LED coding, sensors, and more – is available via The Pi Hut. And if that’s not enough, the online presence of Tim and Michael continues to permeate the social platforms of the Raspberry Pi Foundation. Both are active within the Twittersphere: you’ll no doubt have shared a joke or received advice from either @Geeky_Tim or @recantha. And if you happen to look for information or updates on Raspberry Pi products, projects, or updates, Michael’s website is most likely to be sitting in your browser history. 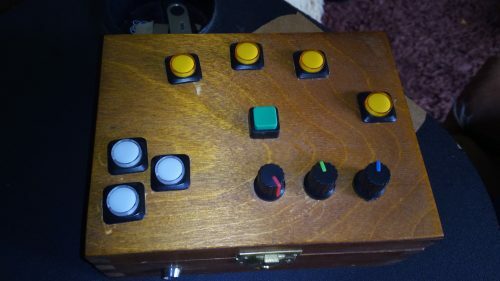 Michael’s Music Box is his favourite project: it’s a kit that fits neatly into his hand, allowing for the playback and distortion of notes through various button presses and dial twists. For the pair, the Raspberry Pi was a subject of interest pre-launch, with both ordering one from the start. Tim, the eager tinkerer, began his Pi journey from delivery day, while Michael admits to letting his collect a little dust before finally diving in. At first, Michael attended the Milton Keynes Raspberry Jam, learning to solder in order to begin work on a project, the Picorder. Having noticed the Cambridge Raspberry Jam would no longer be running in the home town of the Raspberry Pi, and ensuring he wouldn’t step on a few toes in the process, Michael decided to launch his own Jam at the Centre for Mathematical Sciences. “It was so badly organised that I hadn’t even visited and seen the room beforehand”, he admits. “It was just 30 people at that first one!” This lack of organisational skills would soon be remedied by the introduction of Tim Richardson into the mix. Of future events, Tim notes, “With two of us doing the organisation, we were able to do a lot more. I wanted to get vendors to the event so people could buy stuff for their Pis.” They also put together workshops and, later, presentations. The workshops in turn led to the creation of the CamJam EduKit, a means for workshop attendees to take components home and continue their builds there. 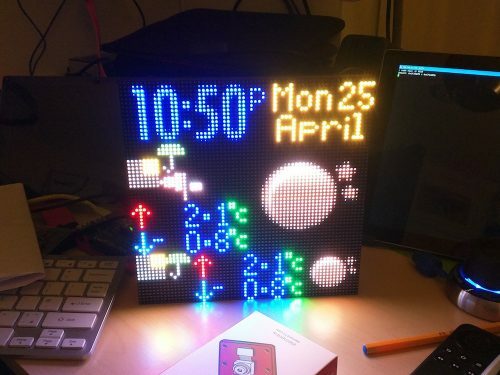 Raspberry Pi, the community, and the future. The transition of the kits to The Pi Hut took place in July 2014, allowing for greater variety and fewer nights filling bags on the living room floor. 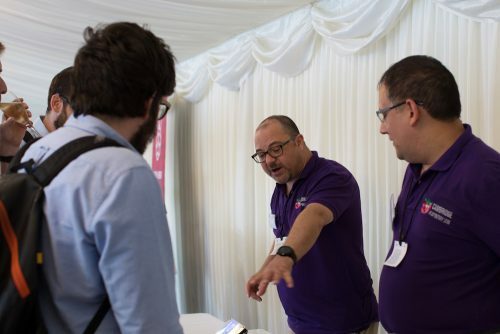 More recently, the pair joined the Raspberry Pi team in celebration of the #10MillionPi milestone, bringing their projects to the Houses of Parliament to help introduce more people to the Raspberry Jam scene. And of their continued future within the community? 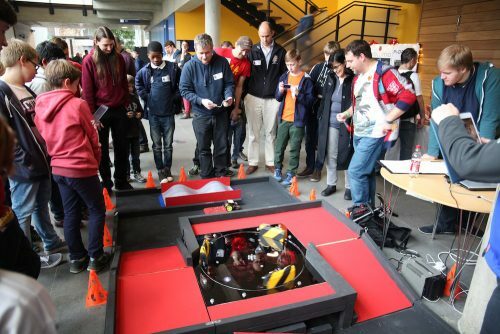 The much-anticipated Pi Wars will be taking place over the first weekend in April 2017, offering all ages and abilities the chance to put their robotic creations to the test against a series of challenges. third year, the next Pi Wars is set to run across the first weekend of April 2017. The Ant and Dec of Pi World. Depends who always stands on the right…….. In the 2 pictures included Mike is on the right that makes him Dec.
Great guys. Thanks for all you do in the community! The CamJam EduKit – basic electronics for £5! In March, both the Raspberry Pi Foundation and Code Club will be turning five. Join our celebration.